Ikons - Windows into Heaven first arrived on the web in 1995. It is the creation of Bob Atchison, an ikon painter and web designer in Austin, Texas. Bob began painting ikons when he was a kid. In elementary school he would hold exhibitions of his ikons in his bedroom for the neighborhood, publishing his own catalogs and posters for his exhibitions. 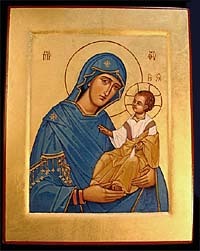 Bob's first ikons for churches were painted in his teens and his work can be seen throughout the USA. 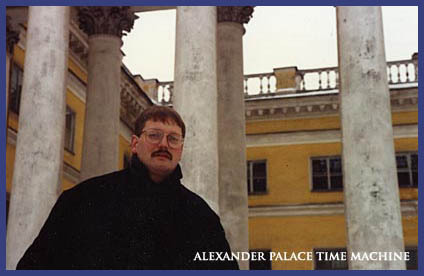 Atchison has travelled throughout the world and has visited most of the major monuments of Byzantine and Russian art from Ravenna to Istanbul and Moscow. As a ikon painter and web artist he has a unique perspective on the subject, that lead him to create the first version of this site 12 years ago. The site's primary objective is to provide students and educators a fun and interesting way to learn more about ikons and their history. It is hoped that the site will encourage young people to learn more about Byzantium, Russia and the meaning of ikons. You may contact the author with any questions or comments you might have by clicking here.